Composites are materials made up of individual components, whose combined physical strength exceeds the properties of either of them individually. In the case of composite laminates, there two basic elements involved: fibrous reinforcement(such as Fiberglass or Carbon Fiber), and resin. These two elements are not meant to be used exclusively—they are meant to be combined. In doing so, they bond mechanically and chemically to form a hard, laminate part that cannot be reformed. Think in terms of a boat. Many boats are made using fiberglass, which begins as a textile–like a long piece of fabric that comes on a roll. Fiberglass is laid into a mold that will create the boat's hull. A resin, in liquid form, is catalyzed and applied to the fiberglass in-mold. It will cure and bond to the fiberglass chemically, producing a great deal of heat (called thermosetting). Multiple layers and various techniques are involved, but your end result is the boat. 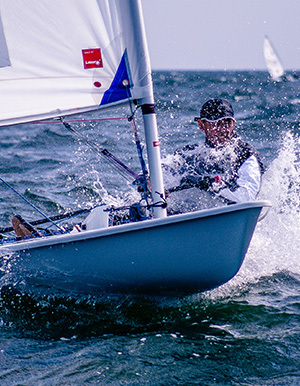 Composites, like the boat, are popular for a number of reasons, but largely for their combined high-strength for low-weight ratio. In general, they can be tailored to suit different applications, and formed to unique and complex shapes. They are also popular for a superior resistance to most environments and can be used by most fabricators without significant investment. We'll look at a number of reinforcements and resins from which to choose. First, lets take a look at actual Fiber and Resin product examples, for you to better familarize yourself with the composite industry. Afterwards, we'll take a look at some of the basic terminology you'll hear when working with composites. Molding:Molding is the process of constructing a part within a mold. Typically, precut reinforcement is placed one layer at a time into the mold and saturated with resin. When the part has achieved the desired thickness and orientation, it is left to cure. When it is demolded, it will have the exact shape of the mold surface. Laminating:Laminating originally referred to applying a thin protective coating of resin and reinforcement over a surface such as wood. The term's use has broadened to include virtually any finished composite part, molded or otherwise. A current example would be: "The part tested was a 10-ply vacuum bagged laminate." Lamination Schedule:This is a list of the individual layers and orientation of the plies used to construct a composite part, and typically specifies the ounce-weight of the reinforcement and the weave style. Casting:Casting refers to pouring a large mass of resin into a cavity. The cavity can be a mold when casting parts, or it can be the backside filler for a tool when making the mold itself. It is necessary to use specialized casting resins which generate less heat during their cure and thus create less distortion in the final part. Fibrous fillers can be added as needed to strengthen the casting. Sculpting:Sculpting is usually accomplished by carving a shape out of polyurethane foam and then laminating the surface. This can be done to create a plug for the molding process, or to shape a finished part in the case of moldless construction. The physical properties of composites are fiber dominant. This means that when resin and fiber are combined, their performance remains most like the individual fiber properties. For example, it is not satisfactory to merely average the tensile strengths of fabric and resin to determine the strength of a panel. Test data shows that the fibrous reinforcement is the component carrying the majority of the load. For this reason, fabric selection is critical when designing composite structures. 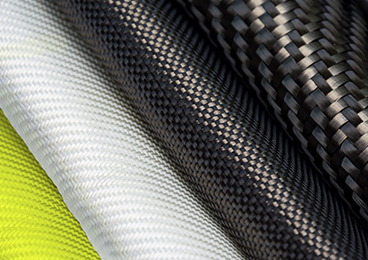 Fabricators today choose from three common reinforcements, including fiberglass, carbon fiber, and Kevlar®. Each comes in various forms and styles, and has benefits and drawbacks that should be analyzed before starting any project. Above, we had examples of each and their most common uses and characteristics. Now, lets take a closer look at their physical properties. The following is a chart comparing the relative properties of reinforcing fabrics. The legend is as follows: P=Poor, F=Fair, G=Good, E=Excellent. These three reinforcements can be purchased in many forms and weaving styles. All three are generally available in tow (pure unidirectional fiber form), veil mats, and woven fabrics. 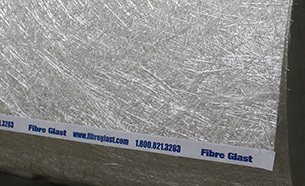 Fiberglass is also offered in a pressed chopped strand mat option. Material in this form exhibits the highest properties achievable for a given fiber family. They are typically supplied on spools so that they may be fed into filament winders or unrolled and cut as they are needed for selective stiffening. The fibers must remain in tension as the resin cures or the mechanical advantage is lost. Once in service, kinks in the tow must first be pulled straight before the fiber will hold a load. Obviously, the straighter the initial fabric placement, the better. It is possible to wind extremely strong tubes using this form of material. 24k Carbon Tow Carbon Tow (or yarn) is ideal for adding directional reinforcements to your composite laminate. Tow is used to buuld out fillets on parts, for spar-wing reinforcements, or combined with a chopper gun to create chopped graphite fibers. Gun Roving This versatile roving can either be chopped, or rapidly wetted and dried for high-strength, low-weight composites. hen combined with a Air Chopper Gun, it can be used in spray up system, either filled or unfilled. Veil mats are thin plies of continuous strand fibers that are looped randomly throughout a roll of material. They have the consistency of tissue paper. A light binder is present to hold the veil together. While they are not intended for structural use, they have two very important functions. First, veil mats can be placed in the mold directly behind the surface coat to minimize the print through of the heavier reinforcing cloths applied later. This thin outer coating also permits some surface sanding of finished parts without cutting into the reinforcing fabric below. The second largest use is with sandwich cores. A veil mat may be placed directly over the core to maintain the optimum bond-line thickness. Veil is also effective at keeping excess resin from draining into the cells of honeycomb cores when a vacuum is not being used. Carbon Fiber Veil Using a carbon fiber veil over a fiberglass will work better as a conductor of electricity, as opposed to an insolation. Similarly, using carbon fiber will help blog RF signals. This material is just what the name implies. The fibers are typically three to four inches in length and are randomly oriented. Chopped strand mat is not a very strong material because of the short fiber length. However, it is isotropic. This means that it is equally strong in all directions (mat and fillers are the only composite reinforcements exhibiting this trait). Mat is the least expensive reinforcement form and is thus the most widely used. It is suitable for molds and part production. The random orientation effectively hides fabric print through of gel coats and makes molds which are equally stiff in all directions. It should be noted that chopped strand mat is only compatible with polyester resin. Chopped Strand Mat Chopped Strand Mat is most frequently used to build thickness for parts between layers of fabrics. Generally, fabricators will tear chopped strand mat, rather than cut it. This maintains the length of fibers along the torn edge, creating stronger bonds. Woven fabrics are strong reinforcements because the fibers are bundled into yarns oriented in just two directions. The warp and fill yarns run at 0 and 90 degrees respectively. Thus, fabrics are anisotropic, or strong in only two directions. Fabrics need to be oriented so the fiber yarns run parallel to the expected loads. If extra strength is needed in a different direction, another ply must be added at an angle to the first. The most common angles are +/- 45 degrees. Fiberglass Fiberglass is the foundation of the composites industry. 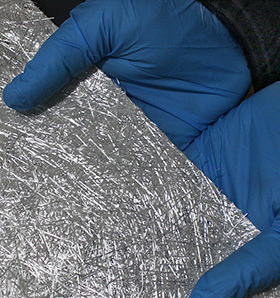 It's been used in many composites applications since the 1950's and its physical properties are pretty well understood. It is lightweight, has moderate tensile strength, and is easy to handle. 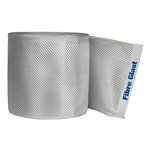 Fiberlgass is used in a wide assortment of projects within the industry. Carbon Fiber Carbon Fiber is found everywhere from auto racing, to aerospace. While more expensive than Fiberglass and Kevlar, it boasts the highest tensile, compressive, flexural, and bend strength in the industry. Carbon Fiber is generally used for projects that will require a higher level of strength is needed, such as load bearing parts. 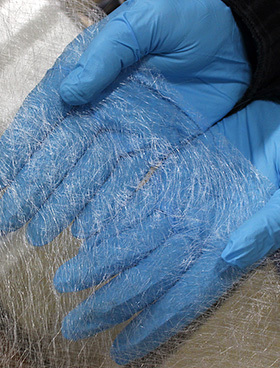 Kevlar Kevlar is one of the first high-strength synthetic fibers to gain acceptance in the fiber-reinforced plastics industry. Where Kevlar shines is in its impact and abrasion resistance. For parts such as canoes and kayaks, aircraft fuselage panels and pressure vessels, where high impact and abrasion is expected, Kevlar is ideal. There are many styles of woven fabric from which to choose. The most common are the plain weave fabrics where the warp and fill threads cross alternately. Plain woven fabrics are generally the least pliable, but are easy to cut and handle because they don't unravel easily. However, their strength is compromised due to the severe "prebuckling" already present in the fabric. As stated under tows, fibers only produce their greatest strength when they are perfectly straight. The frequent over/under crossing of the threads reduces the strength of plain weave types, though they are still adequate for all but the highest performance applications. Twill weaves and satin fabrics are highly pliable and stronger than the plain weave styles. In a satin weave, one fill yarn floats over three to seven other warp threads before being stitched under another warp thread. Threads run straighter much longer in this loosely woven type, maintaining the theoretical strengths of the fiber. Obviously, pliability is higher and these fabrics conform easily to complex shapes. Once cut, however, they can unravel easier because each thread is not held as tightly. Twill weaves offer a compromise between the satin and plain weave types, as well as an often desirable herringbone cosmetic finish. Before starting any project, consider the needs of the finished part. How stiff, lightweight, abrasion resistant, or damage tolerant does the part, or structure need to be? Make sure to consider cost. Compare your list to the description of the materials and the chart previously referenced to select the best fabric with regard to performance versus cost. Fiberglass consistently delivers value for nearly every project. In general, any plain weave fabric can be used for laminating a protective layer over wood. If the laminate is for marine use, no fewer than two layers should be considered. Lightweight fabrics are good if the protective layer is to be transparent such as on strip built canoes. Medium-weight plain weaves, between six and ten ounces per square yard, are perhaps the most versatile. Typically called boat cloths, they are inexpensive, strong, and easily formed. They are often combined with layers of mat when building molds, or used to protect the core in moldless construction. The aerospace satin and twill weaves should be used wherever the highest physical properties are needed. Resin selection is based on fabric compatibility, service conditions, and the desired characteristics of the finished part. There are two common types of thermosetting resin to choose from: epoxy and polyester. Moldmaking, molding, laminating, and casting operations can be performed with either system. Epoxy is the higher performance and higher priced system. It is used in weight critical, high strength, and dimensionally accurate applications. Polyester resins are less expensive, offer more corrosion resistance, and are more forgiving than epoxies. For this reason, they are the most widely used. 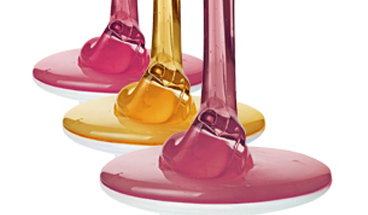 Vinyl ester is a third resin option, often described as a cross between epoxy and polyester resins, as it falls between them in price and handling characteristics. It offers excellent corrosion and abrasion resistance, so it is well suited for applications like chemical storage tanks. Certain resins are not compatible with all fabrics. For instance, Kevlar® often exhibits adhesion problems, so epoxy or the highest grade polyester should be used. Also, fiberglass mats have a polyester soluble binder. Epoxies can dissolve this, and should never be used with mat. Check material compatibility thoroughly when designing the project. Polyester Resin Polyester Resins are the most widely used resins in the composites industry. Polyester Resins are less expensive, offer some corrosion resistance, and are more forgiving than epoxies. Polyester resins are easy to use, fast curing and tolerant of temperature and catalyst extremes. Vinyl Ester Resin Vinyl Ester Resin is considered a hybrid of polyester and epoxy—meaning its handling characteristics, properties, and price generally fall just between the other two. Where Vinyl Ester differs is in its high corrosion, temperature, and elongation resistance. Epoxy Resin For composite parts that demand the ultimate strength, fabricators will use an Epoxy Resin. In addition to increased strength properties, epoxies also generally outperform polyester and vinyl ester for dimensional stability and increased bonding with other materials. Adhesive Applications:When an application requires adhesive properties, epoxies are strongly advised. Choose the epoxy with the pot-life closest to the working time required. 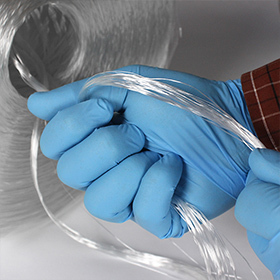 Milled glass fiber can be blended to create a structural filler paste when needed. System 1000 System 1000 Epoxy is a low mixed viscosity resin that will quickly wet out reinforcement fibers during the laying process. This allows for more rapid fabrication profess. Mold Applications:These are best executed using #77 Polyester Molding Resin or any medium- to long-life epoxy. Precut the fabric reinforcement and keep it readily at hand. Use brushes, squeegees, and saturation rollers to wet-out the fabric. For parts which will be used in heavily corrosive environments, select our part #90 Isophthalic Polyester Resin or our part #1110 Vinyl Ester Resin. Polyester Molding Resin Polyester Molding Resin is one of the most common and popular resins in the industry. It is great for general purpose part fabrication and for low cost molds. The resin is easy to work with, less expensive compared to other reasons, and is wax free so no sanding is needed in between coats. Isophthalic Polyester Resin An Isophthalic polyester resin has a much better strength compared to general purpose polyester resins, is great for creating dimensionally stable polyester molds, fabrications of parts that need to withstand high corrosion, and durable repair materials for tank linings. Vinyl Ester Resin Vinyl Ester Resin is considered a hybrid between Polyester and the more durable Epoxy resin—meaning its handling characteristics, properties, and price generally fall just between the other two. Where Vinyl Ester excels at, is in corrosion resistance, temperature resistance, and elongation toughness. 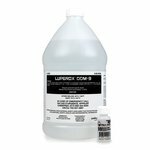 General Purpose Repair and Thin Laminations:These applications are best accomplished with a general purpose resin mixed with styrene wax. If an epoxy is chosen, use a short pot-life version which will cure faster when spread in thin sections. Styrene Wax Adding Styrene wax to a non-waxed polyester resin will prevent the prolonged tackiness associated with thin sections of polyesters in a composite material. This wax will rise to the surface during curing, and must be sanded off after. Minimum Distortion:Epoxies always provide the most dimensionally stable parts and molds, but a premium grade polyester resin such as part # 90 Isophthalic Polyester Resin can be used successfully. System 2000 System 2000 Epoxy is a light amber laminating resin that is designed to give the highest ultimate strength for a room temperature epoxy. It is often used for high strength parts that demanded in structural applications. Casting:Thick sections can be cast with the # 2000/2120 slow cure epoxy system or with any of our Urethane Casting Resins. Standard resins are not recommended to be poured in a mass large enough for casting. Eurethane Casting Resin - Shore A Urethane casting resins are perfect four pouring in part and tooling fabrication. Urethane Casting Resin - Shore A is used to create tough, flexible parts and molds. Urethane Casting Resin - 75 Shore D Great for final parts and short-run casings, Urethane Casting Resin - 75 Shore D is great for creating hard parts, with increased details and superior cosmetic qualities. Compared to classical machining and toolmaking, few dedicated tools are necessary when working with composites. However, there are a number of items which make the job easier while improving production quality. Convenience items like clean mixing tubs, scales, and other measuring equipment, quality scissors, and plenty of gloves are simple items which are often overlooked. Squeegees, brushes, and rollers are the recommended applicators for saturating the reinforcement with resin. Squeegees and saturation rollers can also be used to work air from the laminate and compress the layers of fabric. Razor knives and jigsaws are needed to trim finished parts and molds. Use quality composite blades with a medium tooth count to speed the cut. Mechanical sanders, grinders, and buffers are helpful on larger jobs, but the work can be done by hand given enough time and effort. The final equipment recommendation would be a fabric cut-rack to hold and store the material. The rack supports the fabric horizontally on its tube, and can be made with simple construction materials. Mixing Supplies Mixing Supplies should be used to mix resin with resin additives when preparing for the lay-up process. Additives like catalyst and hardener are necessary in order for resins to work properly. Other additives, like fillers, pigment, and wax, are optional and chosen for the desired characteristics they bring to resin. Cutting Equipment Nearly every composite project will require some cutting, particularly in the preparation stage. Be sure to select the scissors, cutters, and fabric aids that will match the quality of the composite part you plan to produce. Brushes A simple choice that will, nonetheless, have a big impact on your project. Brushes will help in saturating your fabric with the resin you choose. Make sure that the brush you are using matches the quality of your project. Accurate material estimates are necessary for two reasons. First and obviously, they are needed for proper ordering, material stocking, and bidding of projects. More importantly though, estimates offer the opportunity to calculate the weight or cost of the part using a variety of laminating schedules before beginning to build. Unlike estimating coverage when painting, resin usage will vary depending on the type of reinforcement being used. The heavier the fabric, the more resin it will take to wet it out. A good hand laminate consists of about 50% fabric and 50% resin by weight. For example, if an application requires 3 square yards of a 4 ounce-per-square-yard fabric (total fabric weight is 12 ounces), 12 ounces of resin will be needed. However, if 3 yards of 10 ounce-per-square-yard fabric is chosen (total fabric weight is 30 ounces), 30 ounces of resin will be needed. Glass mat requires a minimum of 2 ounces of resin for each ounce of mat. Therefore, it the application calls for 20 square feet of 1.5 ounce-per-square-foot mat, it will require a minimum of 60 ounces of resin. Remember that mat is specified in ounces per square foot, where fabrics are specified in ounces per square yard. Chopped mat at 1.5 ounces-per-square-foot actually weighs 13.5 ounces-per-square-yard! Since there are so many possible combinations of materials, one should calculate the weight and cost of a single layer using a variety of reinforcements. These can then be added or subtracted form the theoretical laminate until the design properties are achieved. 1) Begin by calculating the surface area of the project. Estimate irregular shapes by measuring the approximate sized rectangles necessary to contain the tapered areas. Multiply the length times the width for each rectangle, and then add all individual rectangles together to get the total surface area of the part. If the calculation is in square feet, divide by 9 to get square yards. 2)Make a list of each type of reinforcment being considered for lamination. Multiply the square yards calculated above times the ounce-weight of the fabric. This is the total weight of one layer of that material. It is also the amount of resin required to saturate it. When this is known for 2 or 3 different types of materials, it is possible to calculate the weight and cost of a laminate constructed from any combination of these fabrics. To convert the ounce-weight to pounds, divide by 16. 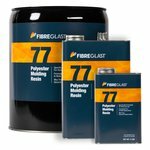 Those inexperienced in saturating fiberglass tend to use far too much resin. A well-saturated laminate is uniformly translucent, without "milky" dry spots, but for the sake of weight and cost, has little excess resin in it. 3)Calculate gel coat, primer coat, and sufracing primer usage. All but the very lightest of molded laminations require a gel coat. This gel coat should be 15-20 mils in thickness. A 20 mil gel coat will require one gallon of gel coat mix for each 80 square feet of mold surface. If a lighter surface coat is desired, spray part #1041-B Duratec Surfacing Primer into the mold in place of the gel coat. It can be applied thinner (10-12 mils), and thus lighter. Duratec is also the perfect finish coat for covering moldless foam or plywood laminations. When covering plywood with fiberglass, additional resin will be required to prime the wood as well. For most woods, this coat will require about 3 ounces of resin for each square foot of surface. This is in addition to the resin required to saturate the fiberglass. To ensure adequate saturation, add 20% more resin to the original estimate. The following example will help clarify material estimation as well as cover some aspects of design. Construction has been started on a plywood johnboat. The boat is 12 feet long, 4 feet wide at the bottom, each side is 2.5 feet tall, and the transom is 2 feet by 5 feet. Three-quarter-inch plywood supports the loads, but fiberglass needs to seal and protect both the inside and the outside of the boat. Fiberglass has been chosen over KEVLAR® to keep costs low. How much material will it take, and how much weight will be added? 1) Begin by calculating the surface area for each piece. 12 ft. x 4 ft. = 48 sq. ft.
12 ft. x 2.5 ft. = 30 sq. ft. x 2 = 60 sq. ft.
2 ft. x 5 ft. = 10 sq. ft. There are 118 square feet per layer, and layers will be added to both the inside and the outside of the boat. Next, divide 118 square feet by 9 square feet to find the total square yards per layer. This conversion is necessary so the area can be compared to the fabric weights which are listed in square yards. The fabrics under consideration are 10 ounce and 7.5 ounce plain weaves. The fabric weights will be multiplied by the surface area to determine total weight of one layer of fabric. With a 50/50 fabric-resin raitio, the resin will also weigh the same as the fabric. Since the boat will only be used near sandy shores, the 7.5 ounce fabric is selected, saving 4 pounds total per layer. If the shore had been rocky, the 10 ounce fabric might have been a better choice for long-term durability despite the extra weight. 2) Calculate all extra resin and surfacing primer consumption as stated above. The plywood will need a prime coat of polyester resin. It will take 3 ounces per square foot of surface area to sufficiently coat the surface. 3 oz. x 118 sq. ft. = 354 oz. / 16 = 22 lb. of resin. The surface coat will be created by spraying on part # 1041-B Duratec Surfacing Primer. One gallon will easily cover the 118 square feet with a 12 mil layer of the material. This guide is intended to help the beginner conceptualize the fiberglass composite process. Due to the recent advances and availability of other high-performance composite materials, some of them have been included in this document as well. The importance of fiber selection is stressed, and a chart comparing the strengths and weaknesses of the three available reinforcements is included as a convenient reference. Design projects around these fabric properties, then select a resin system that is compatible with the fabric and final service conditions the part will see. Material estimates are also important in the design process.Variations in the lamination schedule can be compared at the design stage, and the laminate can be tailored to the service conditions and budget of the project. The example of the three step material estimation process should make these estimates painless. 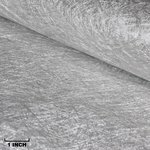 Obviously, there is more information available on these subjects, but these fundamentals demonstrate the ease with which the advantages of composites can be achieved.